From power electronics to power integrated circuits (PICs), smart power technologies, devices, and beyond, Integrated Power Devices and TCAD Simulation provides a complete picture of the power management and semiconductor industry. An essential reference for power device engineering students and professionals, the book not only describes the physics inside integrated power semiconductor devices such lateral double-diffused metal oxide semiconductor field-effect transistors (LDMOSFETs), lateral insulated-gate bipolar transistors (LIGBTs), and super junction LDMOSFETs but also delivers a simple introduction to power management systems. 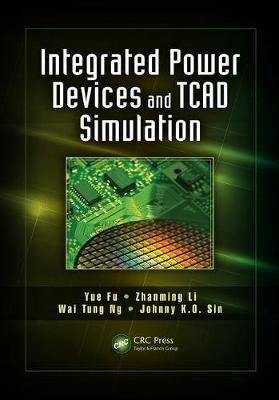 Instead of abstract theoretical treatments and daunting equations, the text uses technology computer-aided design (TCAD) simulation examples to explain the design of integrated power semiconductor devices. It also explores next generation power devices such as gallium nitride power high electron mobility transistors (GaN power HEMTs). Including a virtual process flow for smart PIC technology as well as a hard-to-find technology development organization chart, Integrated Power Devices and TCAD Simulation gives students and junior engineers a head start in the field of power semiconductor devices while helping to fill the gap between power device engineering and power management systems. "Semiconductor engineering has advanced to the point where the devices-in 3D with layout, thermal, and other effects thrown in-can themselves be computer modeled, along with the processes underlying the devices. This book provides a readable engineering overview of the pre-circuit considerations."